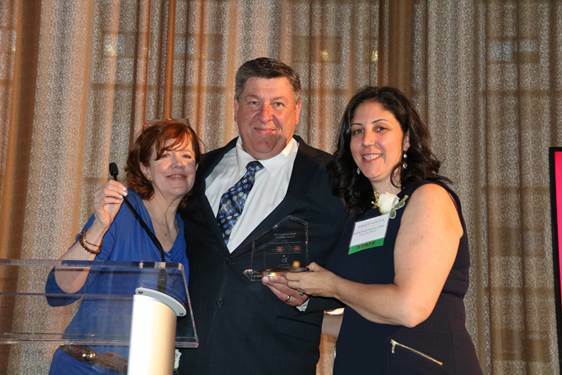 On Thursday June 8, 2017, Erin Construction and Development were honored by Providence House with a ‘Good Neighbor’ award at their People of Hope Celebration held at Tom Colicchio’s Riverpark. Providence House is a faith-based, woman-focused agency with a mission to transition women who are homeless and recently released from prison back into society. They do this by providing case management and an array of programs throughout their network of transitional residences, individual apartments, and permanent supportive housing. Their goal is to help residents obtain permanent housing, get an education, learn job skills and find employment. Currently, Erin is the contractor on a project Providence House and Impacct Brooklyn have partnered on to rehab two residences in Bed-Stuy on Halsey Street and Hancock Street. Construction will be complete this Spring 2019. Watch this space for information about a future ribbon cutting!